6 tasty weeknight dinners plus a weekend grilled dessert! 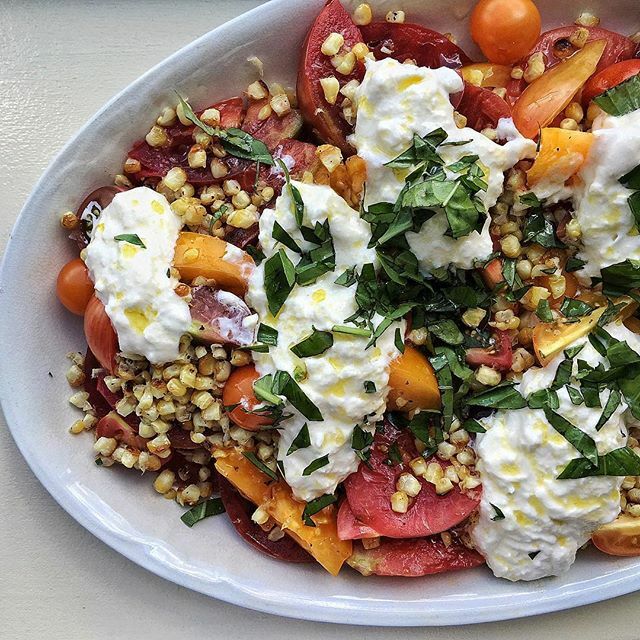 This is the salad you're going to want to have on repeat all summer long. A perfect balance of seasonal produce, creamy, melt-in-your-mouth cheese, and fresh herbs, this salad has truly got it all. Feedfeed Tip This salad is endlessly riff-able. Use what you have or what you find at your local farmers' market. Play around with different cheese, herbs, and produce, as the delicious combinations are infinite. "Soup in the summer?" you ask. Trust us on this one. 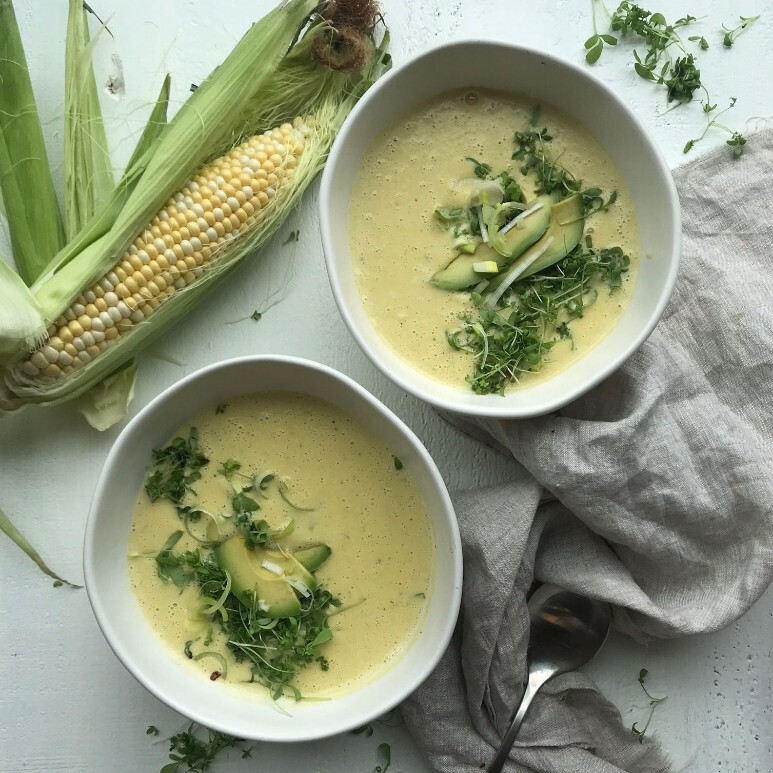 Fresh ears of corn blitzed in a delightfully creamy soup is a dinner decision you will not regret. Feedfeed Tip Want to enjoy the beauty of fresh summer corn after peak season has passed? Pour your leftovers into a freezer-safe tupperware and tuck it away for a couple months. Talk about a pantry dinner. 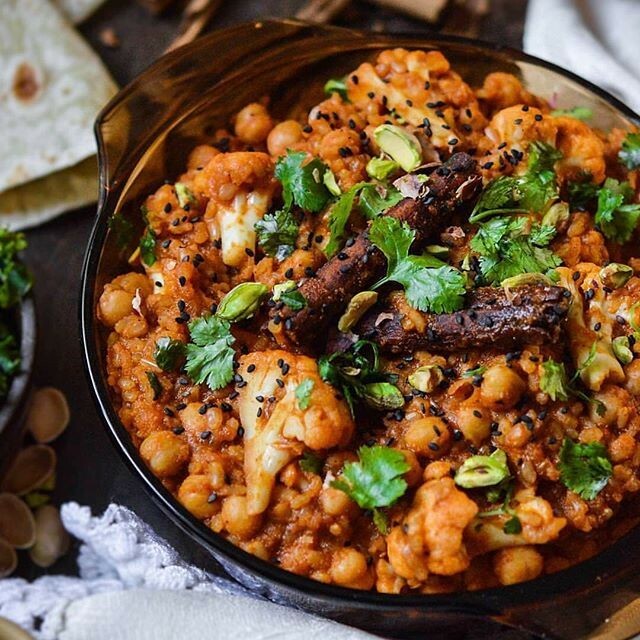 Drawing solely from staples in the fridge and pantry (AKA, you likely already have all the ingredients), this spicy rice dish is about to add a kick of heat to your weeknight rotation. Pork chops don't get enough love, in our humble opinion, but this simple dinner is here to change that. 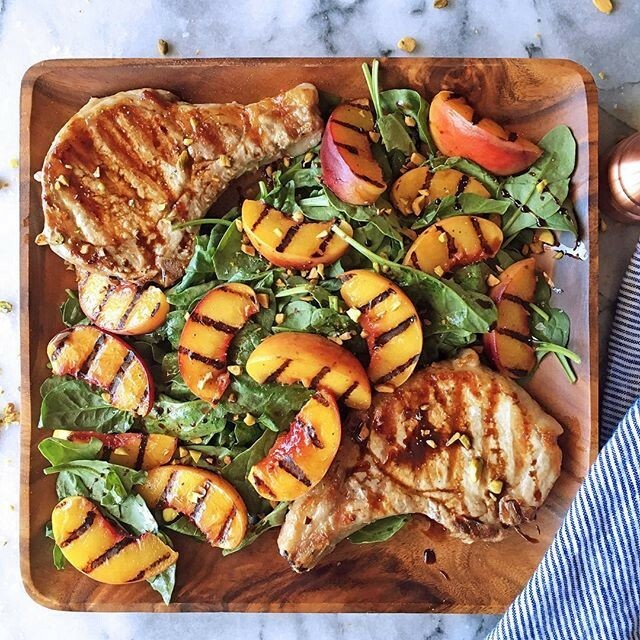 Accompanied by a a simple spinach salad and ultra-sweet grilled peaches, this pork dinner is effortless yet still crazy delicious. 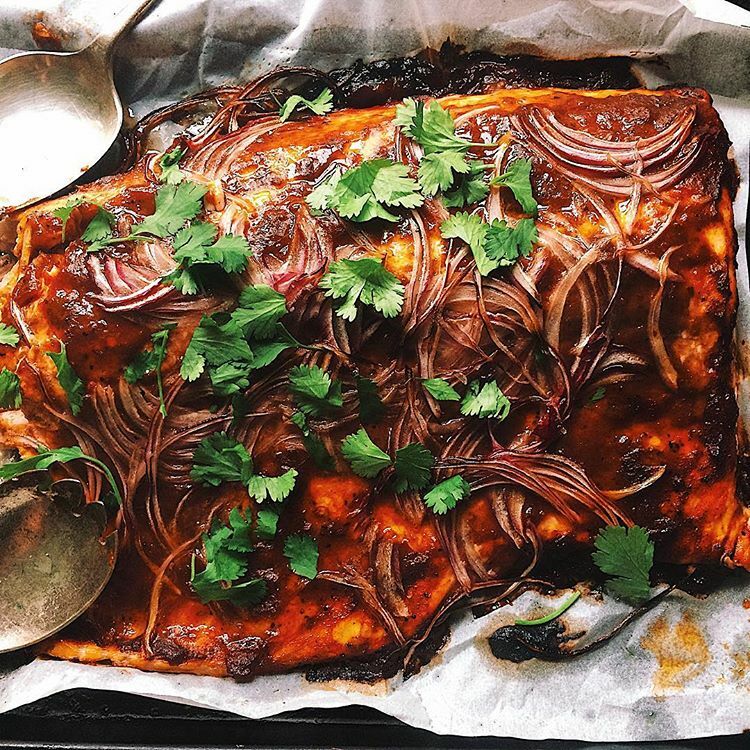 Feedfeed Tip For the marinade, if you at least an hour to wait, then you definitely should. However, if you're short on time, just let it sit for at least 15 minutes and keep moving forward. It'll still be delicious. Getting tired of your go-to chicken recipes? This chicken dinner is here to rock the boat and get you out of your routine. 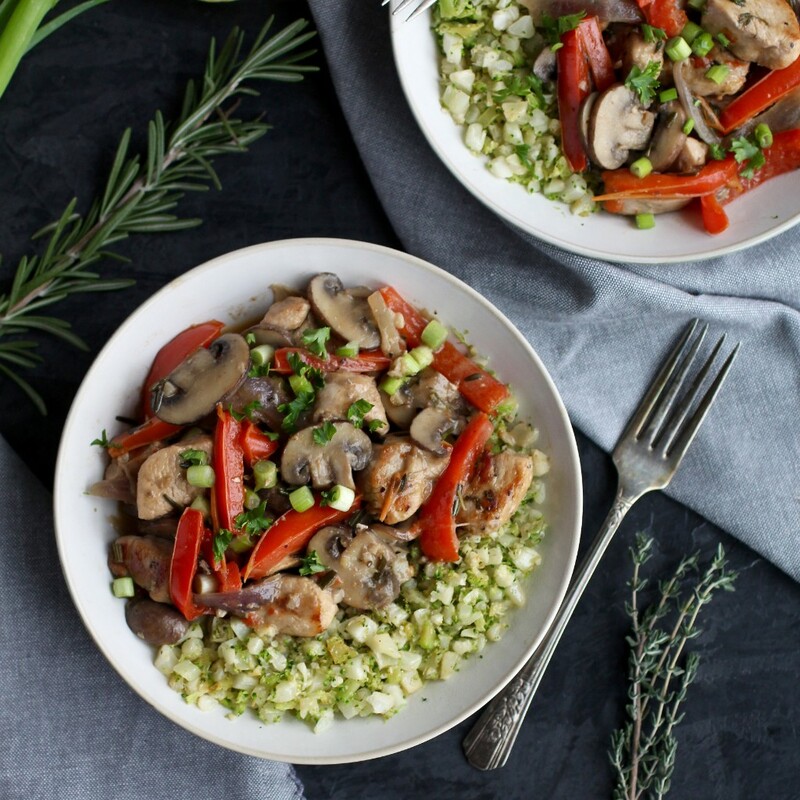 Packed with a ton of garlicky, herby flavor and served atop a bed of riced veggies, this chicken dish is one that the whole family can enjoy. Feedfeed Tip Can't find riced veggies in your grocery store. Buy a whole head of broccoli or cauliflower and rice them yourself. Pulse them in your food processor until the florets break down into crumb-like pieces. Feedfeed Tip To play around with the level of spice, simply increase or decrease the number of dried chiles that you soak. It doesn't get much more summery than grilled stone fruits. 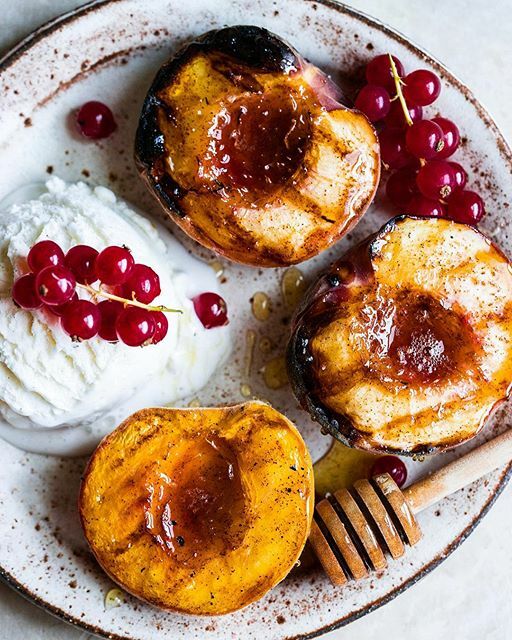 These peaches are delicious on their own, but made even more delectable with a drizzle of honey, a sprinkle of cinnamon, a pinch of flaky salt, and of course, a generous scoop of ice cream.